According to multiple reports, the Dodgers have found issues with Hisashi Iwakuma's physical and have pulled their 3-year, $45 million contract off the table. 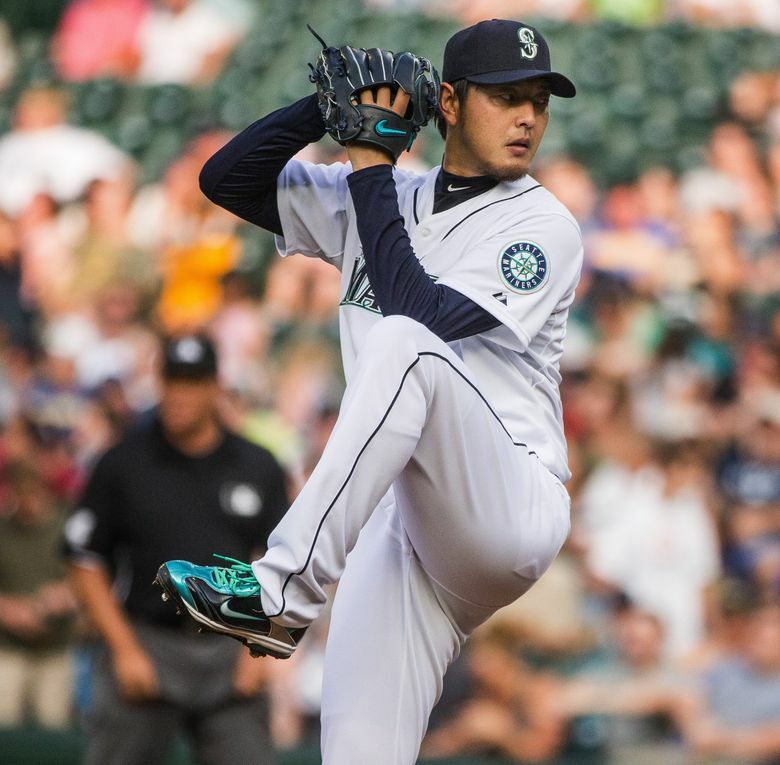 What does it mean for Iwakuma and the Mariners? The news of the deal broke a day before the Major League Baseball winter meetings on Dec. 6, but the Los Angeles Dodgers had yet to officially announce the signing of Hisashi Iwakuma to 3-year, $45 million contract since then. We are now finding out why. The Japanese website JiJi Press is reporting that the Dodgers are having issues with the results of the physical that Iwakuma took on the Friday after the winter meetings and that Iwakuma’s offer was now gone. JiJi Press has multiple BBWAA writers in the U.S. covering the team, including one based in Seattle that has covered Iwakuma. But that report came from Japan. The Dodgers beat writers were able to get some additional information on the report and providing some confirmation to it. "Inaccurate" to say #Dodgers are out on Iwakuma, I'm told. Perhaps they're reworking the contract? It appears the Dodgers have backed away from the previous agreement and could try to rework a new deal instead. But that’s not a guarantee. So what does this mean for the Mariners? Nothing has changed for them. They will still get a compensatory draft pick if any team signs Iwakuma – regardless of the size of the deal. Offering Iwakuma the qualifying offer was a smart and logical move by Jerry Dipoto. It gave the team leverage against other suitors for Iwakuma, changed his value in the free agent market and provided protection in the form of a draft pick if he left. Because there isn’t any information on what issues the Dodgers had with Iwakuma’s physical, it’s difficult to understand how much his value has decreased. Obviously some injury red flags are more concerning than others. Still, any health questions or concerns or the perception of a failed physical changes Iwakuma’s market value. It seems beyond unlikely he’ll get a three-year deal. It may reduce him to having to sign a one-year “show” contract worth lesser money and some heavy incentives to prove his health. A cheaper one-year deal makes Iwakuma more attractive to teams, particularly ones with protected first round picks. The obvious question being asked on Twitter and other places is whether or not the Mariners could/should bring him back? Well, they aren’t really in position to bring him back at the 2-years, $30 million they offered previously. And they won’t now because they don’t have to. With rough calculations (remember payroll budget is for the whole 40-man), Seattle’s budget is already nearing $130 million. Mariners’ CEO Howard Lincoln and team president Kevin Mather both said payroll will not go down in 2015. Seattle finished last season with a payroll expense of about $134 million. Sources put the budget this season around $135-140 million. Dipoto is working up against that number. But there is a belief from some that ownership does give additional flexibility for the addition of Japanese players. Regardless, it should be something considered for the right price. It wouldn’t be unreasonable to bring back Iwakuma on a one-year deal with an option or even a two-year deal worth lesser money. It may seem unfair to Iwakuma, who now has this stigma attached to him, but that’s the nature of the business. The Mariners starting pitchers rotation consists of Felix Hernandez, Wade Miley, Taijuan Walker, James Paxton and Nathan Karns with Vidal Nuno, Mike Montgomery as the next options on the 40-man roster. Bringing back Iwakuma would force one of the young players to Class AAA. But it would give Seattle some protection against injuries, particularly with Paxton, who has had his issues in the past. What isn’t known at this time is Iwakuma’s reaction to the development with the Dodgers. Could he feel slighted by this and walk away? It would seem prudent for the Mariners to at least check in on Iwakuma and find out if it’s a viable option for next season. It appears the Mariners are doing just that. Reports late on Thursday confirmed interest in the Mariners re-engaging talks with Iwakuma. Sources: #Mariners trying to re-engage with Iwakuma. First reported: @JimBowden_ESPN.